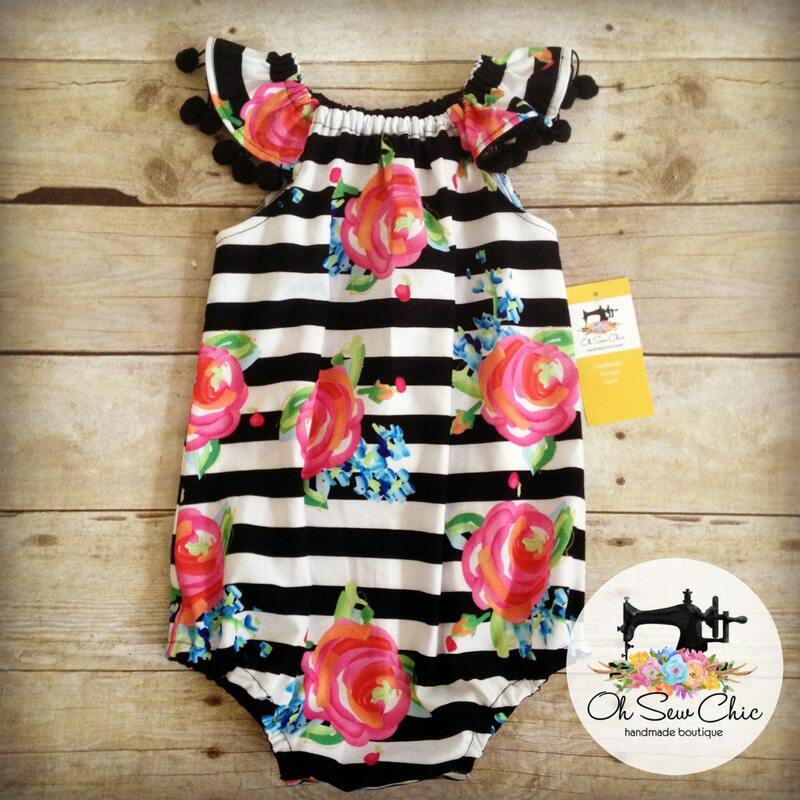 This watercolor floral and stripe flutter sleeve romper is perfect for summer and is also a wonderful idea for a baby shower gift or first birthday gift for a stylish little lady! This gorgeous sunsuit is made to order in baby and toddler sizes. It has a stretchy peasant style neckline, stretchy legs, snap crotch for fast diaper changes and trips to the potty plus, perhaps best and cutest of all, adorable black pompom trim on the flutter sleeves! 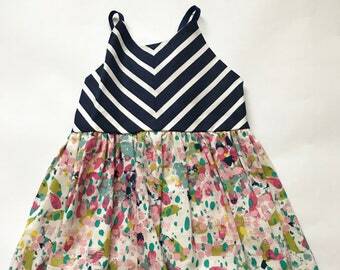 It is 100% certifiably delicious and experienced moms of girls will tell you that this style is super practical in the summer for newborns all the way through walking, talking, running, twirling preschool age girly girls! Note: this listing includes the bubble romper only; props and other accessories shown in the product pictures are for display purposes. 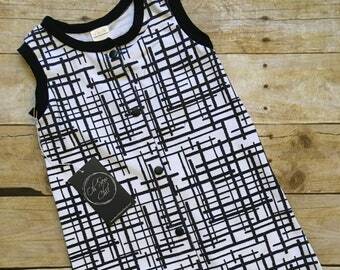 Love the romper style for your little girl, but want a different print? Check out my other bubble rompers or convo me for your custom order today!